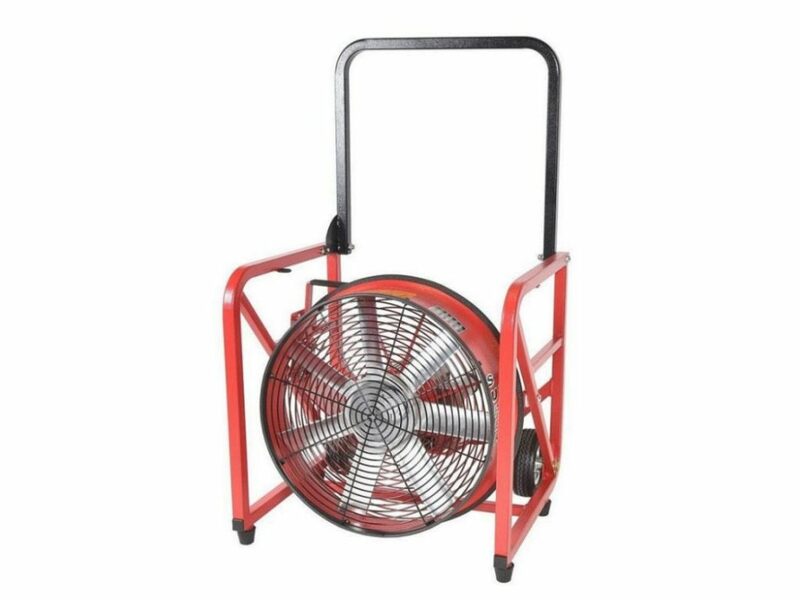 A 20″ water turbine PPV set on the classic 7-Series frame, this slightly larger turbine is perfect for jurisdictions that encounter hazardous, explosive environments and deal with medium to large residential structures, as well as some commercial buildings. Powered by water, this PPV doesn’t rely on electricity or gasoline. Featuring a durable steel-frame, roll-cage design with 4-position tilt, this PPV has proven itself over the years.